Does neem insecticide work? Some gardeners say it does not. They used some ready made spray with neem oil in it. And they didn't see the results they wanted. Or maybe they used a proper home made insect spray with quality neem oil (product link) but did not see an immediate effect. They probably did not understand how neem oil affects insects. Neem is not an instant, knock down, kill everything pesticide. Instead it affects insects in many different and subtle ways. How precisely it works is difficult for scientists to find out. There are too many different active substances in neem oil and every insect species reacts differently to neem insecticide. Like real hormones, neem works at very low concentrations, in the parts per million range. A little neem oil goes a long way. But this is not something that happens over night. 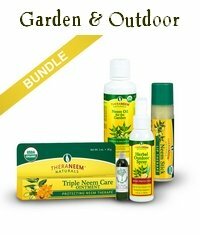 People spray neem oil as an insecticide and expect everything to die instantly, because that's what they are used to from chemical poisons. When that does not happen they conclude neem does not work. Many insecticides break down quickly. They wash away with rain, or when irrigating, or the sunlight destroys them. You either have to spray all the time, or you have to spray something that's so stable that it stays around forever. That means the chemical builds up everywhere and eventually poisons everything, including you. 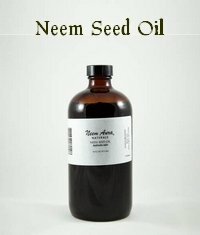 Neem oil breaks down very quickly, too. It is especially susceptible to UV light. But neem oil is also a systemic insecticide. That means you can pour it on the soil (not pure neem oil of course, you use a dilution or extract) and the plants absorb it. They take it up into their tissue, and it works from the inside. A leaf hopper may take a couple of bites, but that's it. However, this does not work for all insect species. The neem ingredients accumulate in the tissues deeper inside the plant. The phloem, the outermost layer, contains hardly any. A tiny aphid feeds from the phloem, it can not penetrate deep enough to get a dose of neem. But any leaf hoppers, grass hoppers or similar chomping insects will be incapacitated quickly. People eat neem leaves to cleanse the blood, stimulate the liver, and boost the immune system. So we certainly don't need to worry about a bit of neem inside our lettuce leaves. To me this is a much more attractive option than having poisonous foulicides build up in my garden. Many gardeners use white oil (plain mineral oil) or even olive oil to combat soft bodied insects like aphids, thrips or whitefly. The oil coats the bugs and they suffocate. Neem oil does that as well. But it's more like a little bonus on top of everything else it does. It can be a hazard, though. Of course there is no difference between suffocating good or bad bugs. Oil suffocates anything. So this aspect can harm beneficial insects! Neem is non toxic for beneficial insects. The main reason is that insects need to ingest the neem oil to be affected, and beneficial insects don't eat your plants. But you can still kill beneficial insects if you smother them with neem oil, so please be careful. Beneficial insects are most active during the day. The best time to spray neem insecticide is very early in the morning, so the spray can dry before the good insects become active. Also a good time is the late afternoon or evening. Once the spray has dried it does not harm your bees, ladybugs, lacewings, predatory mites and wasps etc. 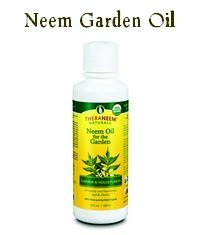 How can you make neem oil insecticide work for you? Using a high quality, cold pressed oil is essential. Where do you get that?